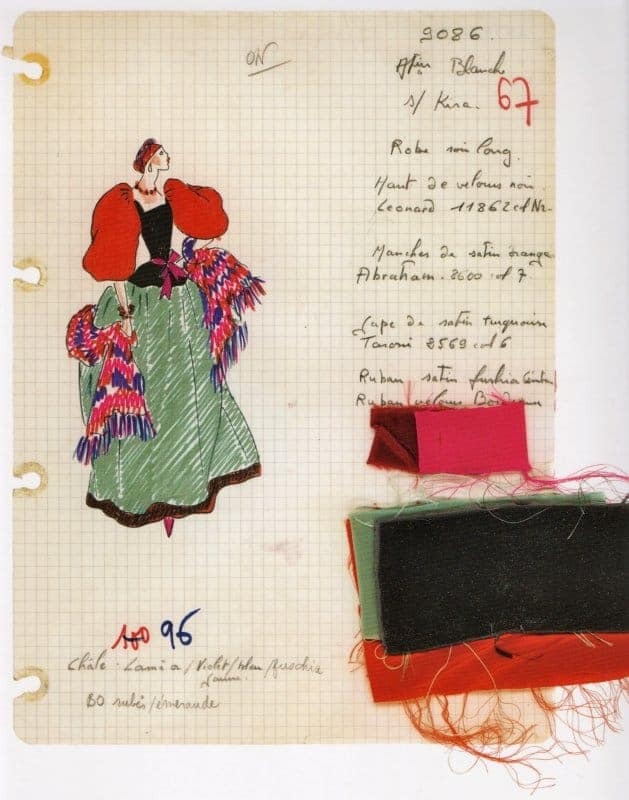 This week I’m planning to go and see the film ‘Yves Saint Laurent’, which has just opened here. 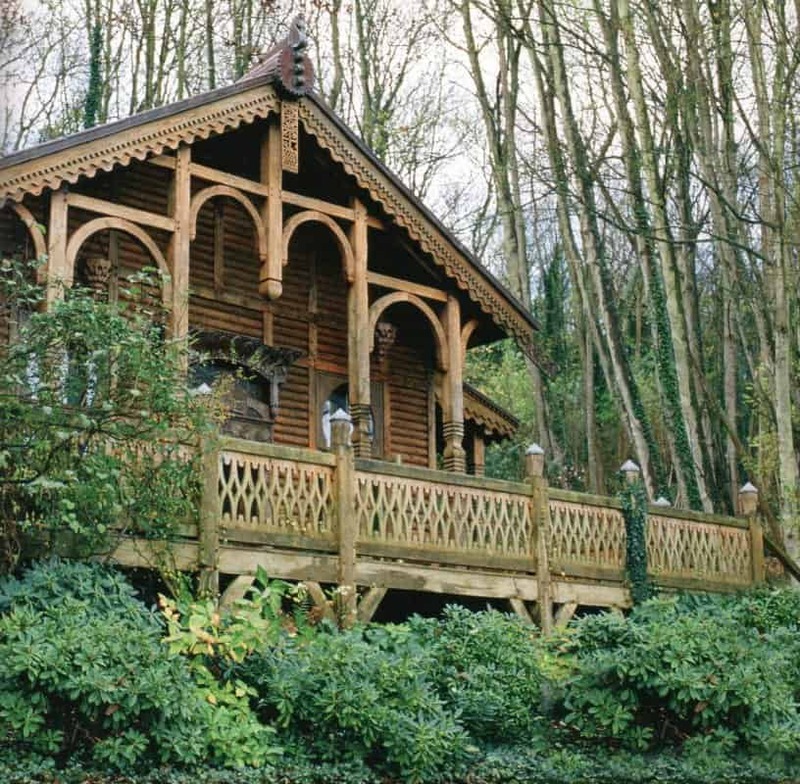 Here’s the trailer. 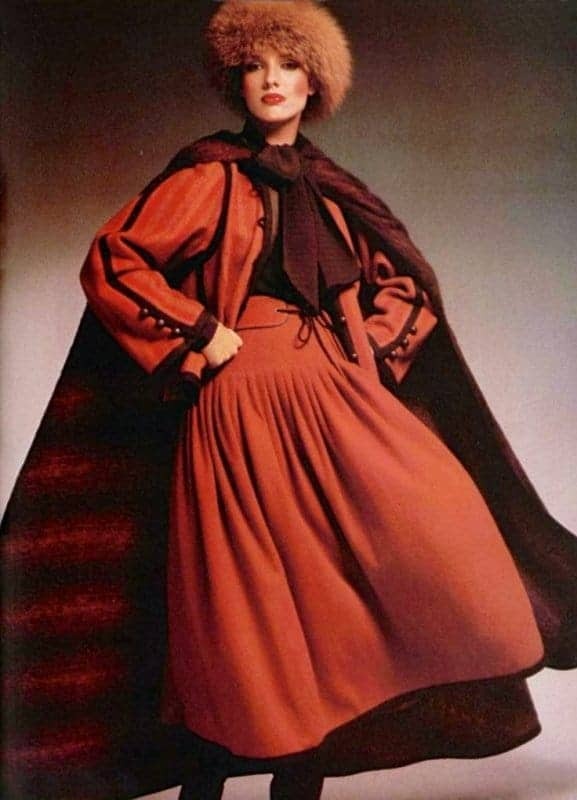 And a video of the Fall/Winter 1976 catwalk show. 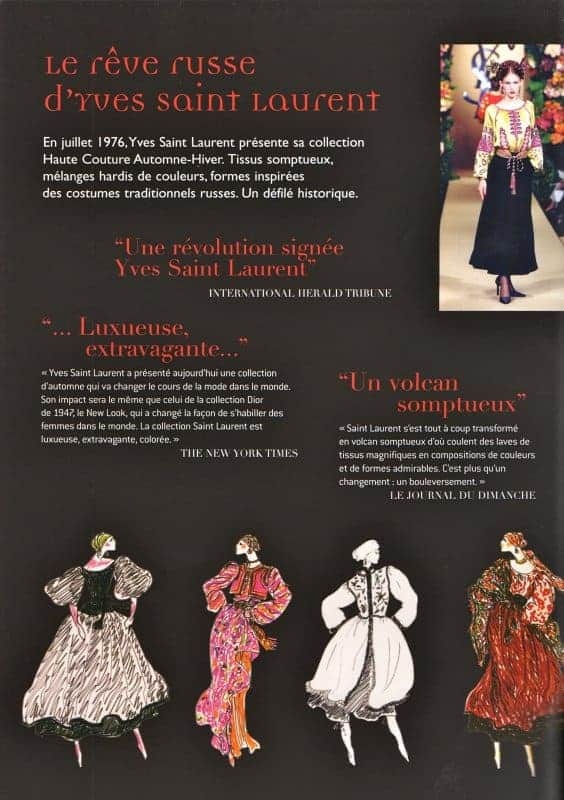 The YSL collection that year has gone down in fashion history as ground-breaking and unforgettable – and interests me, naturally, because of its Russian theme. 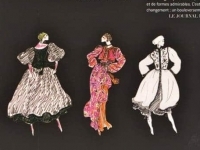 I think it was officially called the ‘Opéras et Ballets Russes‘ collection, but I’ve also heard it referred to as the ‘Rich Peasant’ or ‘Haute Russian’ collection. 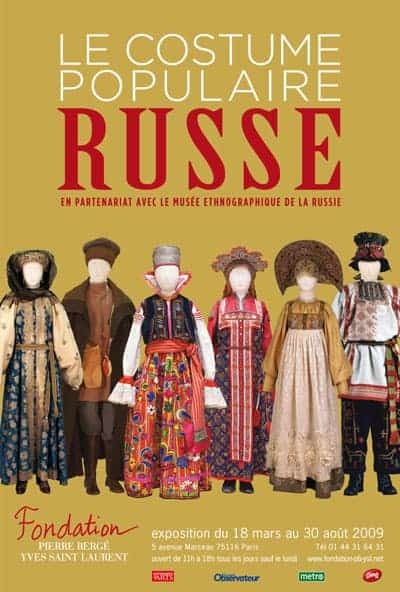 A quote from an online biography of Yves Saint Laurent: The “Haute Russian” Collection creates an international sensation, being featured on the front page of The New York Times as a “revolutionary” collection “that will change the course of fashion around the world” (Bernardine Morris). 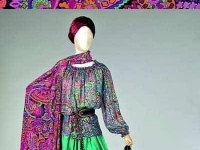 Commenting on his collection, Yves Saint Laurent says: “I don’t know if this is my best collection. 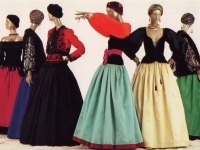 But it is my most beautiful collection”. 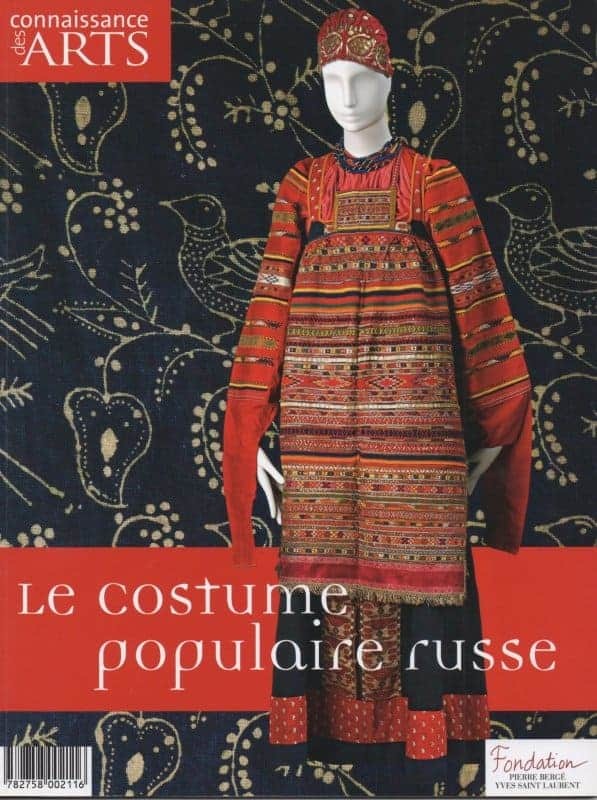 In 2009 I went to the exhibition at the Fondation Pierre Bergé-Yves Saint Laurent in Paris – Le Costume Populaire Russe. 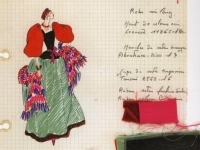 Click here to see an account of the exhibition, showing the very stylish staging. 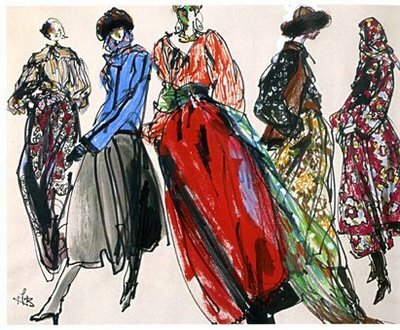 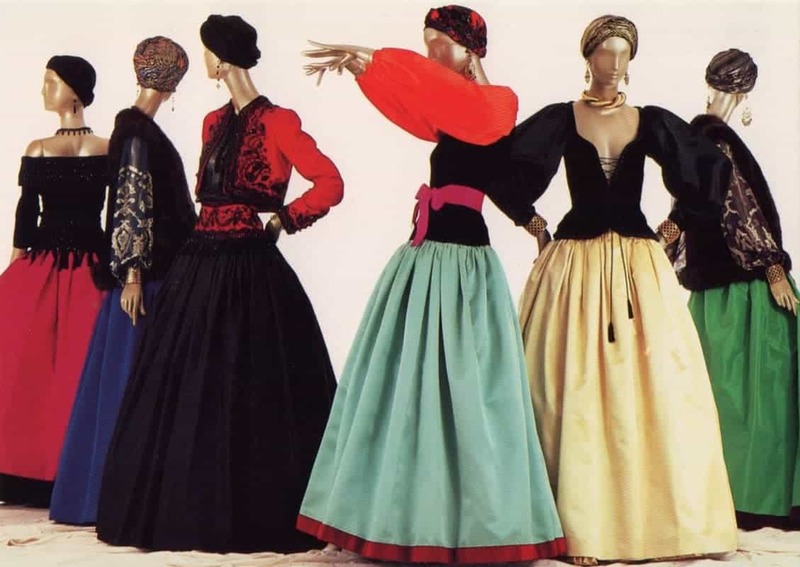 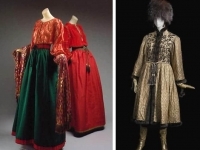 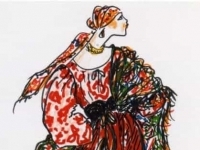 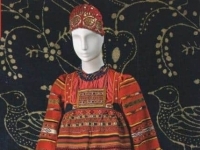 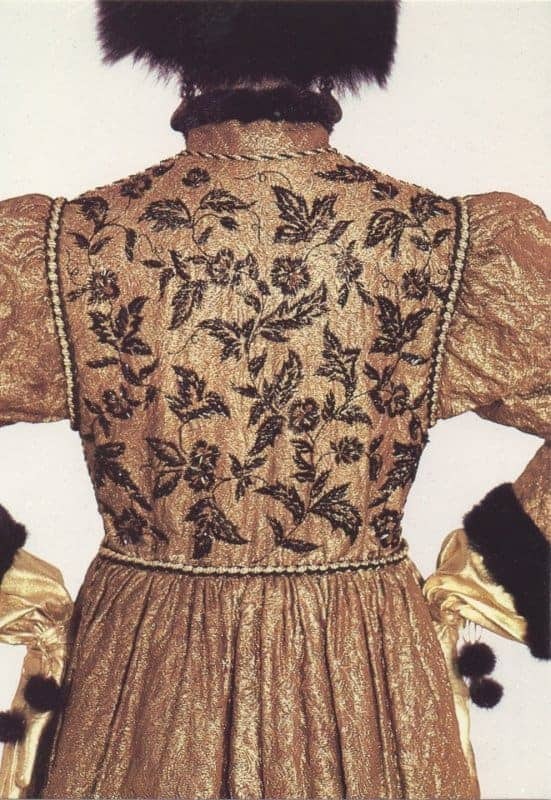 There were some outfits from the YSL 1976 collection on show but the greatest element consisted of the many ensembles of Russian peasant dress, lent by the State Ethnographic Museum of St Petersburg. 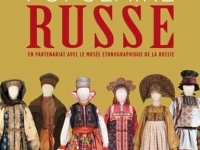 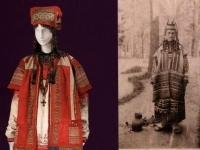 I was interested to see that the exhibition had been jointly curated by Elena Madlevskaia from the Ethnographic Museum (and irritated to see that all the literature around the exhibition mis-spelled her name as ‘Maldevskaia’…). 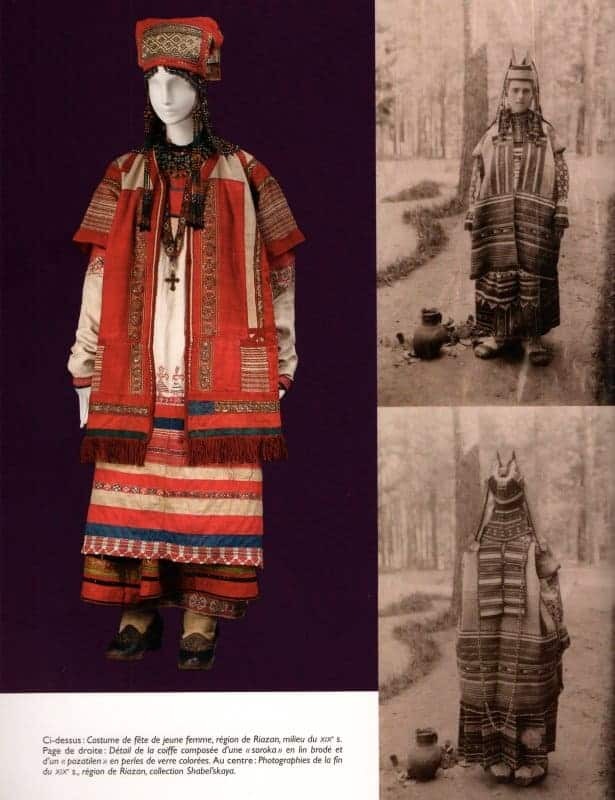 Elena was extremely kind and helpful to me when I went to St Petersburg in 2007 to do some research in the Ethnographic Museum. 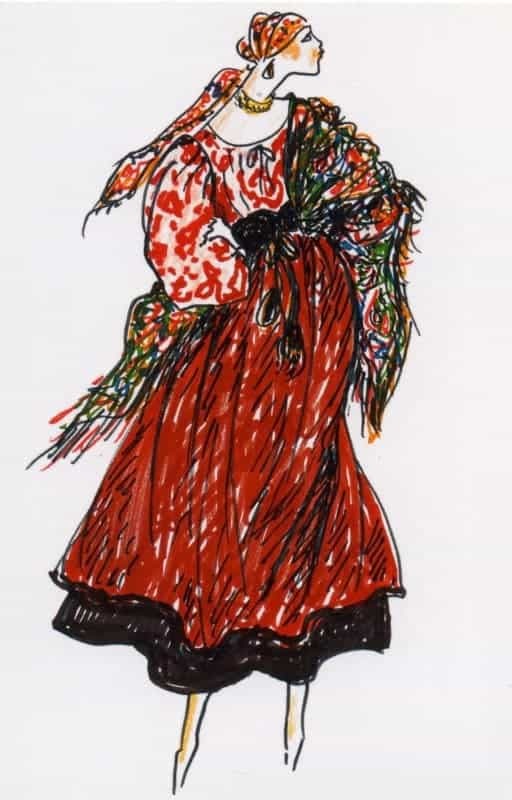 I spent a whole day in the stores with her, looking at items of dress, and she was able to answer all the questions I had. 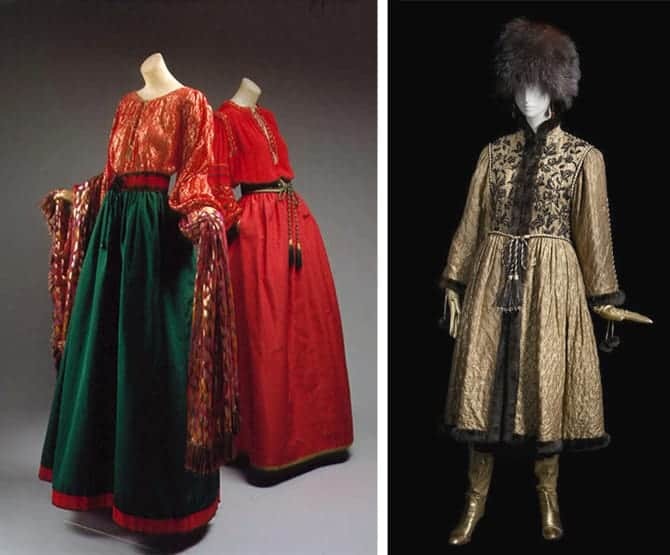 It was at the time I was writing the chapter on Russian ethnic dress for the Berg Encyclopedia, and I wanted to make sure I had all my facts right. 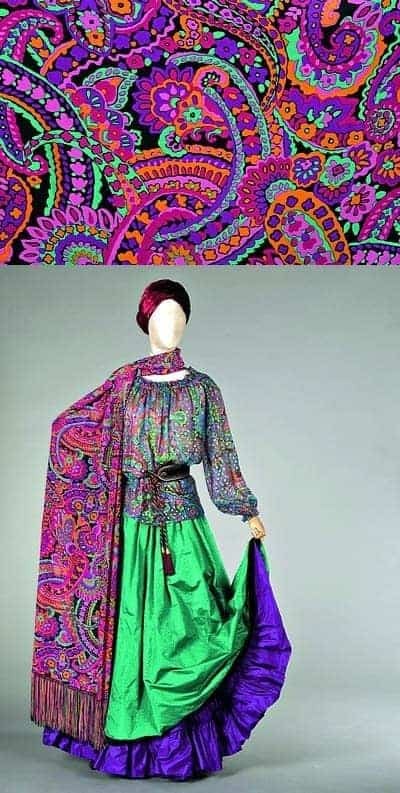 Me too – and I think my fashion sense is still stuck circa 1976!